One thing that affects temperament above all else in our opinion is leopard gecko’s sexual maturity. As we have discussed in another article, all leopard geckos go through puberty. Male leopard geckos will first hit sexual maturity at around 6-8 months old. 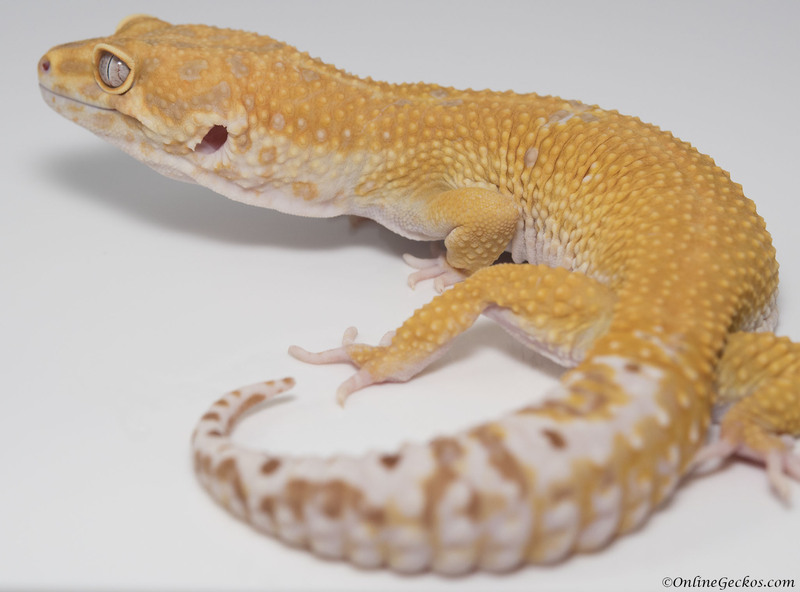 Female leopard geckos will hit sexual maturity and ovulate for the first time at around 8-12 months old. Their temperament tend to change a bit as males get territorial for the first time. Females on the other hand will usually stop eating as they ovulate and potentially become gravid. Once leopard geckos reach adulthood (1+ year old) they will start operating on a more yearly seasonal schedule. Adult females will start to ovulate starting at around January and ovulate through June/July. Adult males will also seem a bit more restless as they want to look for mates during the breeding season. You will definitely notice your leopard gecko’s behavior change every year between January and July. So Should I Get a Male or Female Leopard Gecko As Pets? 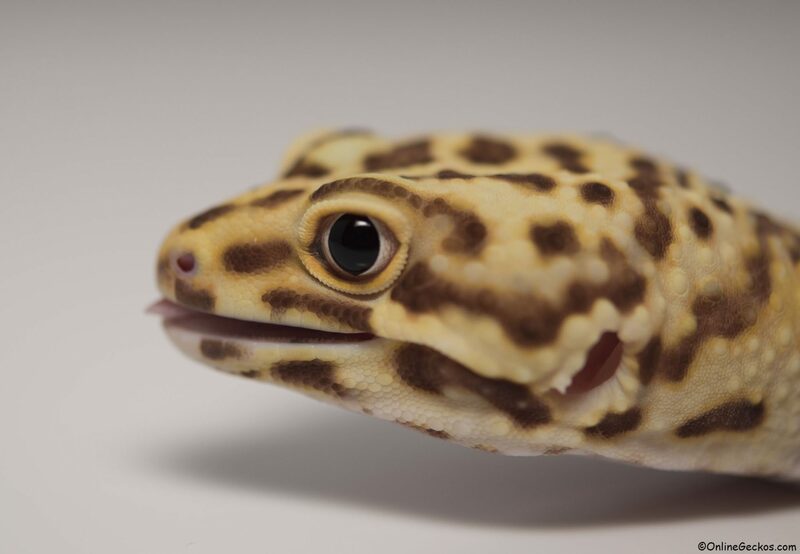 In our opinion, if you must have a leopard gecko that does not change its temperament and behavior too much during the breeding season, a male will likely be more consistent. 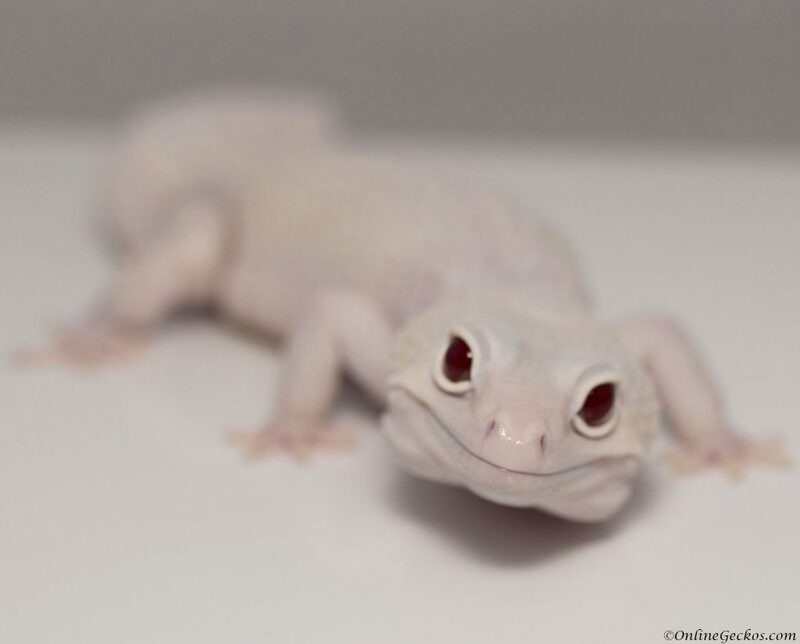 Again, temperament is different based on individual leopard geckos. But in our experiences, when a female is ovulating, the female tends to be more skittish. If a female becomes gravid, then the female will not enjoy being held at all. It’s important to know that female leopard geckos can develop and lay infertile eggs without ever being bred. Males on the other hand, while they may act more active and want to come out all the time, tend to not shy away from being held. They will want to look for mates during the breeding season (Jan – July), but they will usually not turn aggressive towards you. You will simply notice a more active leopard gecko pet during the breeding season. When leopard gecko feels threatened or spooked, both male and female will wave their tail like a snake. This is their defensive posture. When you see this behavior, it means your gecko is spooked or scared. It’s best to leave them alone to settle down before you attempt to pick them up. Male leopard gecko will also do a different rattlesnake shake. This rapid tail-tip shake is their mating call. You will often hear this rapid tail shake from males when they first reach sexual maturity or during the breeding season. This is completely normal, you should not be alarmed. If you have multiple leopard geckos in the same tank, hearing the rapid tail shake means the male is interested in courting the female. This rapid tail shake can also be seen when they are hunting, often seconds before the gecko strikes at its food. Both male and female can shake their tail like this when they are excited during feed time. One clear advantage to female leopard gecko is their ability to be housed with other females. While leopard geckos are solitary creatures, female leopard geckos can be housed together given equal size, similar temperament, and large enough tank with double the hides required. In a standard 20 gallon long tank, you can usually house 2 female leopard geckos successfully. In a 40 gallon tank, you can house 3-4. You will not be able to house multiple males in the same tank. Housing male with females is not recommended unless you are breeding. Even then we would recommend only putting male & female together during the breeding season. Male and female are best housed separately. This advantage is attractive to hobbyists because many gecko hobbyists enjoy housing more than 1 gecko in their tank. Male leopard geckos have the advantage of less health issues. Males are known to live over 15 years with proper care, with some living well past 25 years of age. Females however average 10-15 years. Egg production puts great stress on female’s body. Every year female leopard geckos will ovulate between January and July, during which time they eat very little. They can produce infertile eggs without mating with a male. This continuous cycle of egg production, laying the eggs, fasting, and rinse/repeat every single year tend to shorten the lives of female leopard geckos. Also a female’s reproductive cycle could cause complications. Dystocia (egg-binding) for an example can happen to any female leopard gecko. It usually occurs to first time breeders, females carrying infertile eggs, and females who had egg-binding issues before. 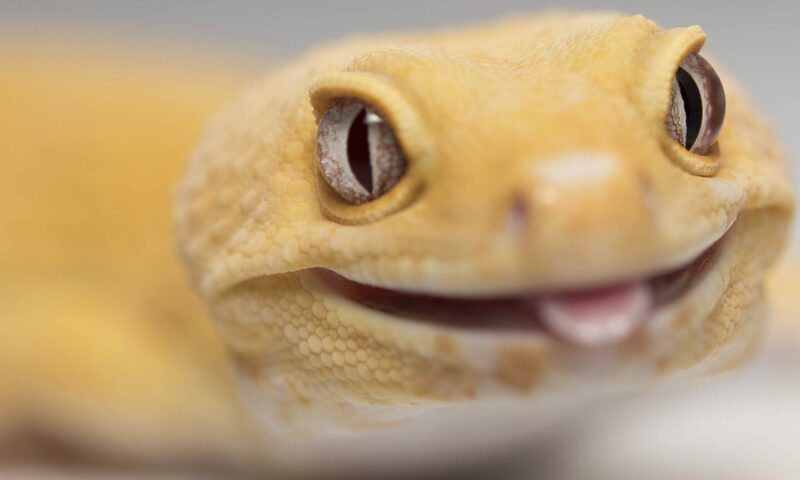 Male leopard geckos live longer with proper care, have less health related issues, and their behaviors are more stable. Female leopard geckos can be housed together in groups given similar size/temperament, larger tanks, and more hides. In general leopard geckos get more docile as they get older. Both sexes will make great pets for you.